Many residents would have noted that the big message, from the media release based articles introducing Malcolm Snow, was a divisive one. Not a good way to start in a new job. According to the media, the new CEO “wants to see more Canberrans have their say on planning and development issues and not have them left to a vocal minority”. To those thousands of residents who attempted to participate and to be heard over recent years, the message is clear. You are to be classed, if the new CEO was quoted accurately, under one homogenous grouping – “ a vocal minority’. Read into that what you like but I suspect it shows very little respect for many residents he will now have deal with directly. It is never a good thing for any public figure to take on that Trump-like technique of creating divisions through the use of non-evidence based critiques of parts of our society. But let’s look at this another way: Maybe it is an encouraging sign that Malcolm Snow is going to ensure that the City Renewal Authority is not to be dominated, as the LDA was before, by that very vocal minority – being the property lobbyists. Canberrans indeed would love to see that ‘vocal minority’ given their rightful say but that the aspirations of the wider citizenship should play an even greater role in the new authority’s thinking. What media statements do not address is that planning and development in this city has not been well done (massive understatement), has been contentious (many with battle scars) and has been the subject of much debate and way too many ACAT appeals. The very fact that this authority has come into existence was, in theory at least, a sign that things were so wrong that something had to dramatically change. (Still not convinced why we needed replace one with two new authorities and two bureaucracies). However it seems that the same spin-doctors are churning out the same messages as before, namely that everything is fine from within the planning and development bureaucracy (probably the same people in different chairs) and the faults are out there within the community (pesky residents). I suggest that the new CEO could do well to employ more talented spin-doctors. Malcolm Snow has an impressive array of awards attached to his bio. For this he is to be congratulated. But it must be noted that most, if not all, of these have been bestowed by industry and property bodies – those ‘vocal minorities’ who create an aura of prestige for work done competently – but rarely for work of any outstanding character – and definitely rarely with overwhelming praise from the residential sectors. The challenge for Malcolm Snow is to gain the same levels of recognition (as in previous awards he lists) for his work on the redevelopment of the Northbourne corridor, Civic and places closer to the lake, but that these accolades should come not just from the same comfortable vocal minority, but from the majority, the residents of Canberra. This new job should be a dream job. Not easy – but one that presents a fabulous challenge for a leader with a creative vision to engage openly with the citizens of Canberra, to identify with their aspirations, to convince the politicians that it is time for something different, to provide leadership through ideas that may challenge all involved to rethink and finally to role out one of the major city entrances of this country. 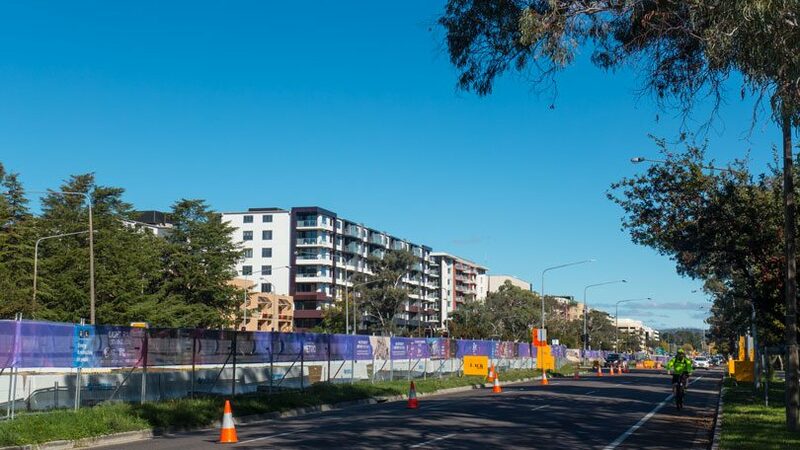 The new Northbourne Avenue should end up being celebrated by residents throughout the country – not just by the ‘vocal minority’ group of industry and property lobbyists – and their spin-doctors. Unfortunately for Malcolm Snow some very ordinary buildings dominate the Northbourne Ave. Maybe he will deal with them by doing the full Baron Haussmann. Could be interesting! As for Civic, like so many others, we despair as to what could be done there. Having quick fixes and events are probably popular for a day or two – but they are distractions from the real issues. 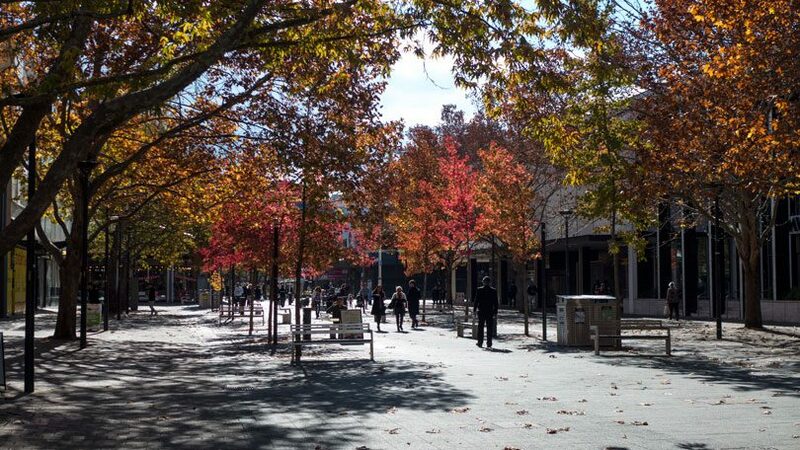 Getting life back in what was once a celebrated urban space is an even bigger challenge than delivering creative solutions for Northbourne Ave. It is time for no more of the usual spin. Residents do not seek to do battle over planning and development. People want to be engaged and respected. It is time for a fresh approach from the new City Renewal Authority, from its new CEO and it is time to cease all notes of divisiveness such as those distributed by their spin-doctors.